A West Midlands company is aiming to expand after announcing the launch of a new web based change management product. Q2, based at the University of Warwick Science Park’s Blythe Valley Innovation Centre near Solihull, works with organisations across the country to design and implement business change initiatives to both save money and improve service delivery. The company, which was established in 1999, is now aiming to broaden its reach with the launch of a new product. QPredict is the brainchild of managing director Steve Taylor and is a tool which allows businesses to quickly determine what impact changes they are considering will make on staffing and other costs. It also allows organisations to compare different scenarios using task volumes, time taken and allocation of tasks to job roles and related costs across one or many locations. It will then show you how many staff you need to deliver that level of work taking into account things like sickness levels, holidays, etc. After helping several local councils to make significant savings and improvements, QPredict is now being rolled out to other public and private sector organisations. Steve said: “QPredict allows you to determine and profile your current workload very accurately and then do simple or complex ‘what if’ analysis within minutes to find the most cost effective way of delivering that workload, having a direct effect on the bottom line. “It also works as a tool to benchmark your organisation against other similar organisations which is particularly useful in the public and not-for-profit Sectors. He said the Innovation Centre has been a perfect location for the company to grow from. “We’ve benefitted greatly from our location at Blythe Valley Innovation Centre because it allows us access to like-minded individuals in a creative environment,” Steve added. 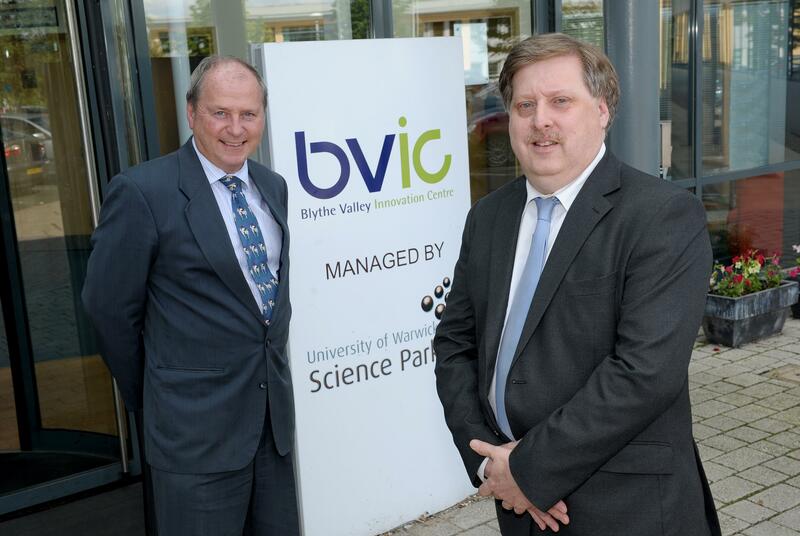 Nigel Shaw, centre manager at Blythe Valley Innovation Centre, said that Q2 had a bright future ahead. “Q2 is one of our longest established tenants and since their move to the centre, the business has grown significantly in terms of its service offer and client base,” he said. For further information about QPredict email stevet@q2.ltd.uk or call 0121 506 9255.